As many as 15% of children display oppositional defiant disorder (ODD), a pattern of opposition, defiance, and anger at authority. ODD increases the risk of substance abuse, legal difficulties, relationship problems, and workplace issues in both adolescence and adulthood. It can disrupt classrooms, be a chronic source of family stress, and leave those diagnosed with ODD feeling bewildered, frustrated, and angry. ODD is treatable. Prompt ODD treatment greatly reduces the risk of later psychological and social issues. The right therapist can help a person with ODD control their impulses, understand their emotions, and nurture productive and rewarding relationships. Search for a therapist who specializes in ODD. Proper ODD treatment depends on an accurate diagnosis. ODD can superficially resemble a number of other conditions. Like people with ADHD, people with ODD struggle with impulse control. ODD features some of the same behavioral difficulties as a conduct disorder. Secondary symptoms of ODD, such as substance abuse, may mask the underlying condition. A doctor or mental health professional can diagnose ODD. The best person from whom to seek a diagnosis is someone experienced in the diagnosis and treatment of childhood mental health and behavioral issues. An expert in ODD is better equipped to distinguish symptoms of ODD from those of other conditions. Easily annoyed or excessively sensitive. Frequently argues with authority figures such as parents or employers. Refuses to comply with reasonable requests from authority figures, or frequently defies rules. Deliberately irritates or annoys others. Has difficulty taking responsibility for behavior and blames others for their mistakes. Has done something spiteful or vindictive at least twice in the past six months. Each of the above behaviors must go beyond that which is developmentally typical or understandable in context. For instance, a child abuse survivor who distrusts parents or other authority figures is likely reacting to their circumstances. Likewise, a toddler who is often angry or prone to tantrums is testing limits in a way that is likely developmentally normal. Proactively teaching children creative problem-solving. Encourage them to talk about conflicts with friends or family and weigh options for responding. Generating a list of potential strategies can help children see that they don’t have to respond with anger or aggression. Modeling effective communication and creative problem-solving. Children who see their parents effectively resolving conflicts learn that conflicts don’t have to be harmful. Using consistent, evidence-based discipline. A chaotic family environment, inconsistent enforcement of rules, and excessively harsh discipline can make ODD worse. Protecting children from trauma. Children exposed to abuse and violence are more likely to develop ODD. Improving social skills. ODD can compromise social skills, making it difficult for people to empathize and effectively solve problems. Social skills training can help. Practicing positive ways of responding to stressful situations. Working on communication skills. Responding to frustration with defiance or aggression may escalate the situation. Communicating with empathy can defuse tensions. Understanding the connection between their emotions, thoughts, and feelings. Cognitive behavioral techniques such as those taught in cognitive behavioral therapy (CBT) may prove especially helpful. Research does not support the use of medication alone to treat ODD. Instead, ODD should be treated as a complex emotional and behavior challenge that requires therapy, changes in a person’s environment, and support to develop better social skills. No drugs are approved specifically for the treatment of ODD. However, some medications may help ease symptoms of ODD, especially when those medications are used along with therapy. Antidepressants, for example, may help some children with ODD better manage their emotions. Children with ODD are often also diagnosed with ADHD. Stimulant medications such as Adderall and Ritalin can help with ADHD. Some children with ADHD also take antidepressants. A doctor who specializes in the treatment of ODD can help families decide on the right combination of medication, therapy, and other interventions. 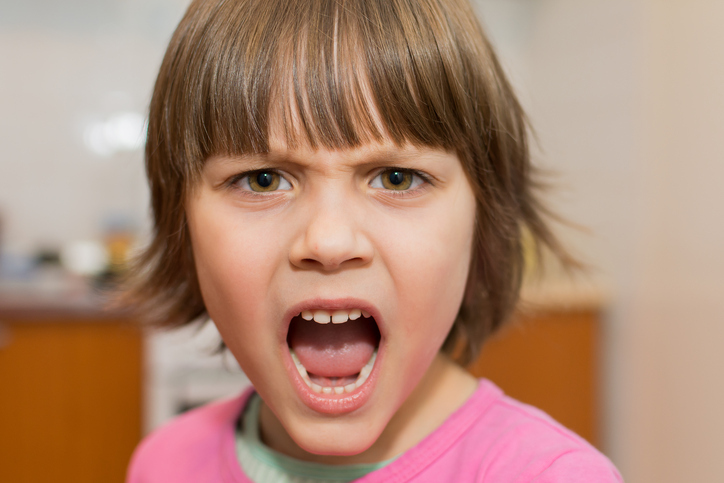 Defiant behavior can be frustrating in the home and potentially devastating in school. It can lead to suspension or expulsion, and may negatively affect a child's social relationships and ability to learn. If untreated, oppositional behavior can escalate as the child ages. In the teenage years or during adulthood, oppositional or defiant behavior may have significant and lasting consequences socially, legally, occupationally, and psychologically. ODD is linked to the later development of a conduct disorder. Children with a conduct disorder routinely hurt or violate the rights of other people and animals. They may break the law, start fires, attack peers, sexually abuse friends and family, or destroy property. Some children diagnosed with a conduct disorder develop antisocial personality disorder in adulthood. Therapy can help children and adults with ODD better manage their emotions and control their behavior. This can improve their relationships, help them succeed at school, and decrease the likelihood they will have serious mental health issues in adulthood. A trusting alliance with a therapist is a major predictor of how successful therapy will be. People who feel understood and heard—not judged or stigmatized—by their therapist are more likely to remain in therapy and work toward mutually defined goals. So, finding a therapist who can effectively connect with clients is key to effective treatment. Anger management therapy: Children who struggle with emotional regulation also tend to have trouble controlling their anger. Anger management can teach relaxation techniques, goal-setting, effective problem-solving, trigger identification, and recognition of consequences. Play therapy: Although adults can have ODD, ODD is more commonly diagnosed in children. Young children may struggle to understand or express their emotions. Play therapy offers an alternative outlet. Through play, children can work through their emotions, understand their behavior, and master new coping skills. Family therapy: ODD can disrupt an entire family. Family therapy teaches family members better coping and communication skills. A type of therapy called parent-child interaction therapy helps parents and children communicate more effectively while fostering positive parenting skills. Some research suggests it can improve family life in children with ODD. Another approach, called collaborative problem-solving, can help children and parents work together to solve the problems that ODD presents. Social skills training: People with ODD have more trouble devising solutions to social challenges, such as a fight with a friend, than do people without ODD. Approaches that teach social skills and foster creative problem-solving can support healthier relationships and prevent problems at school and work. Art and play therapy for an oppositional foster child: Gerald, 12, is brought to therapy by a foster parent. He is sweet and cooperative some of the time, but he frequently talks back to adults rudely, purposefully breaks rules, sneaks out of the house, speaks angrily to those around him, and refuses to take responsibility for his chores. His foster mother reports that Gerald was neglected by his mother and that he has been in several foster homes. His current foster family would like to adopt him, but they worry that they will not be able to manage his behavior, which seems to be getting worse. The therapist begins by engaging in play with Gerald—art projects, games, and toy army battles. As the therapist develops a relationship with Gerald, the foster parents are brought into some of the sessions, where Gerald is encouraged to write, draw, and talk about his experiences in other foster homes and to communicate these experiences through various means of performance—puppet shows, a play involving everyone in the room, a story with the army soldiers. After several therapy sessions, Gerald begins to show trust for his foster parents, and his anger becomes more manageable. Wild high school senior: Alice, 17, is staying out past her curfew, cutting class, refusing to eat meals with her family, and using drugs. She shouts and swears at her parents when they try to speak to her about her behavior, which has gone on for all eight months of her senior year of high school. The parents seek a therapist, but Alice will not go. The therapist talks to the parents about their options, and while they do not wish to emancipate her, they are not sure how much longer they can try to help her if her behavior continues in the same manner. The therapist explores the couple’s relationship, history, and parenting style and continues to work with the parents, helping them to manage their own stress and address some long-standing intimacy issues. After several weeks, Alice's parents report to the therapist that some of Alice's oppositional behavior has improved, and that she has agreed to enter therapy. During conversations in therapy, Alice's parents become aware of the many ways they have sent mixed messages to her. Alice feels more understood, and her behavior begins to steadily improve. Help! Is It Time for Some 'Tough Love' with Our Teenage Son? Will Spanking Gain Your Child’s Respect?